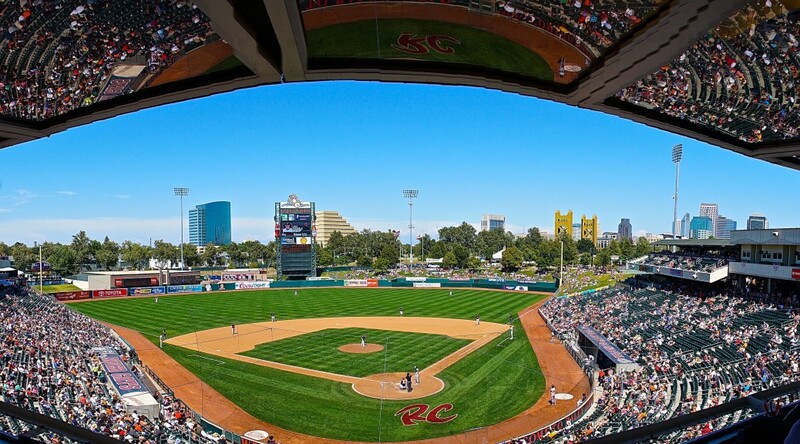 WEST SACRAMENTO, Calif. – The Sacramento River Cats will face the Las Vegas 51s (New York Mets) for the fourth and final time this season as Las Vegas makes their second appearance at Raley Field tonight, kicking off a four-game series. The division-leading 51s are looking to extend their lead in the Pacific Southern, but the River Cats are playing for the season series and enter the homestand trailing Las Vegas five games to seven. Protecting a five-game lead in the Pacific Southern division, the 51s have stumbled slightly coming out of the All-Star break. In their first 12 games since the break, they are 5-7 despite averaging more than five runs a game. The 51s are in the middle of a stretch where they play 21 of 29 games on the road with their stop in Sacramento right in the middle. Las Vegas has played well enough on the road so far this season though, hitting .268 away from their home park and posting a 22-28 road record. Sacramento is coming off of an offensive outburst on Monday in which they swept a doubleheader with the Albuquerque Isotopes, outscoring them 20-1 in the process. Since the All-Star break, the River Cats have had their ups and downs, holding a record of 7-5 in that 12 game span. The River Cats currently sit 12 games back of the first-place Fresno Grizzlies in the Pacific Northern division. After this four game series, Sacramento will embark on a season-long 13-game road trip. Las Vegas’ OF Travis Taijeron comes into the series hitting over .300 in his last 10 games. The right-handed outfielder has smashed two homers while driving in five for the 51s in that time. Taijeron entered the season known for his power and ability to get on base, and has not disappointed. His 17 home runs lead the team and his .406 on base percentage is second among active 51s. The 51s’ RHP Matt Bowman was named the PCL Pitcher of the Week yesterday. He achieved that honor thanks to his start last Tuesday, in which he threw a complete game 2-hit shutout against the Fresno Grizzlies. In 2015, Bowman holds a record of 7-10 with a 5.32 ERA. River Cats’ INF Adam Duvall has continued to post excellent numbers in the month of July, both at home and on the road. He is hitting .350 in 22 July games while slugging nine home runs and driving in 29, with four of those home runs and 11 RBIs coming at Raley Field. Sacramento’s OF Ryan Lollis and INF Kevin Frandsen have both had great success against the 51s this season. The duo are hitting .571 and .474, respectively, with a combined seven runs scored, three extra base hits, and four RBIs. The River Cats will be looking to take the upper hand on the 51s this series, as the two sides split a four game series at Raley Field back in the second week of the season. Overall in 2015, Sacramento is 5-7 in 12 games against the 51s, with eight of those contests occurring at Cashman Field in Las Vegas. Historically, the River Cats have fared well against Las Vegas, with a record of 146-106 (.579).